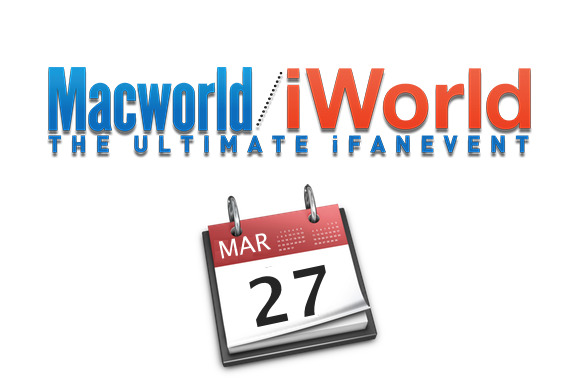 Macworld/iWorld, the ultimate Apple fan event, starts on Thursday at the Moscone Center in San Francisco. There’s plenty to see at the show, so here are a few events and exhibitors you should make sure to check out. On Thursday, March 27 at 10 a.m., The State of Apple 2014 panel opens the show on the Main Stage (room 103). 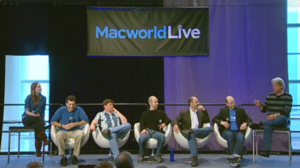 Macworld’s own Jason Snell leads the panel in a discussion of Apple’s present and future. Joining Jason are Ben Bajarin of Creative Strategies, Christina Bonnington of Wired, Rene Ritchie of iMore.com, and Dan Moren of Macworld. Macworld editors and contributors are all over the Main Stage, with several sessions to help you be more productive. A complete schedule of the Main Stage events is available online. Macworld/iWorld also has a Second Stage with a variety of demonstrations and performances. The Second Stage is located in the exhibit hall (section 1202), and features performances by Stefan Lipson, Exist Elsewhere, the 6 About to Break contest, and more. A complete schedule of the Main Stage events is available online. Like to shop? There will be a lot of good deals in the Expo Hall, where companies have set up booths for showgoers to see their products. Many of them sell products on the floor, so you won't want to miss any show specials—exclusive sale prices on some cool stuff. Also be sure to visit Appalooza in the Expo Hall, where software developers for the Mac and iOS showcase their apps. The booths in Appalooza tend to be a lot smaller than those in the Expo Hall, but the area is packed. Appalooza is located in section 816 in the Expo Hall. When you’re ready to take a break, you can stop by the iPad Sketch Station in the Lower North Lobby. Artist Thierry Schiel and Luis Peso will be drawing on their iPads, and you can watch the artist at work. While you’re at the show, be sure to stop by the Macworld Live stage, located in the southwest corner of the Expo Hall. Noteworthy sessions include iFixit Live (Thursday, March 27 at noon); Apple: Past, Present, and Future (Friday, March 28 at noon), The Incomparable Live! Computer Draft podcast (Saturday, March 29 at noon), and More with iMore (Saturday, March 29 at 2 p.m.). Of course, if you can’t make it to Moscone Center, Macworld.com will have full coverage, including videos, podcasts, and news from the show floor.